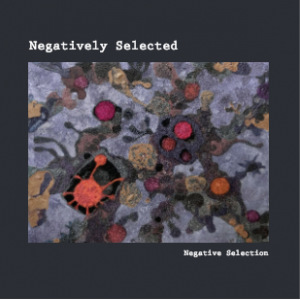 Welcome to Negative Selecton – The band you`ve never seen before. The band you`ve never seen before. See Our Promotion Videos ! リンパ球は、リンパ節を巡りながら、病原体との戦いに向けての準備をする。この曲は、リンパ節を旅してきたリンパ球が、 故郷に思いを馳せながら、病原体との戦いの現場へ出発する決意を詠ったもの。1番はT細胞、2番はB細胞を表現した。 Lymphocytes are prepared to fight against pathogens while they travel around lymph nodes. This song expresses determination of such a lymphocyte for the departure to the front line of the fight against pathogen, while remembering his/her home. The first verse represents a T lymphocyte, and the second one a B lymphocyte. 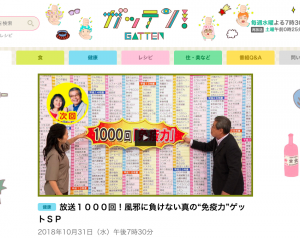 リンパ球がつくられる過程で起こる「負の選択」を詠った曲。「負の選択」では、自分を攻撃する可能性のある細胞は除かれる。 そのような運命を辿る細胞の哀しみを表現。T細胞が生まれてから死んでいくまで、そして死の淵から密かに復活する様を、プログレッシブ・ロックと舞踏で表した。 This song represents a very sad event called “negative selection”, by which developing T cells that are potentially harmful are deleted. Sorrow of such cells is played in the progressive rock music and Butoh dance, portraying the whole life of T cells, from birth to the death, and to the secret revival. いつもNegative Selctionのコンサートのオープニングを飾る曲。私たちはきっと何かを失い、そして得る、という歌詞だが、バンドメンバーに数名存在する忘れ物大魔王のことが隠れたテーマ。中間部はピンク・フロイドにインスパイアされている。 Always played in the beginning of NS gigs, meaning that we leave something not important behind us and gain something hopefully important. This song also contains some hidden story of a very forgettable person. Three or four NS members were born very forgettable. The intermediate part of the song was inspired by Pink Floyd music. もともとはOpeningsの対としてコンサートのラストに演奏する曲のつもりだったが、叙情的かつ感傷的な曲になった。NSのなかでは珍しくスローなバラードの曲。 Originally supposed to be a last song of NS gigs. This lyrical and sentimental song is a slow ballad, rather rare among NS music. 北村俊雄が学会長を務めた第９回日本血液学会国際シンポジウムで演奏するために、北村が作詞し、河本宏が作曲した。同シンポジウムは2018年7月27日（金）-28日（土）にグランドプリンスホテル京都で開催され、本ビデオは、初日に催されたWelcome ReceptionでのLazy Stemyの初演の模様である。この曲は、骨髄の奥深くにある造血ニッチに潜んでいる造血幹細胞が、なかなか自分の出番が回ってこないので、ゆっくりと自己複製を繰り返しているところから始まる。最後にようやく出番が回ってきた時、造血幹細胞は分化して種々の血液細胞を作り、感染や出血などの危機において役割を果たした。骨髄ニッチの画像は、九州大学の新井文用先生作の画像を許可を頂いた上で使用。 A song composed for 9th IJH International Symposium which was organized by Toshio Kitamura who wrote the lyrics for this song. This video shows the first play of “Lazy Stemy” at the welcome reception of the symposium. This song is about hematopoietic stem cells who are slowly self-renewing in the deep hematopoietic niche of bone marrow. Eventually, “Lazy Stemy” had a chance to generate all blood cells play important roles in protecting the body (world) when the body (world) faced an emergency. 河本宏/ Hiroshi Kawamoto (Guitar)/Kyoto Univ. 石戸聡/ Satoshi Ishido (Guitar)/Hyogo Col. Med. 高浜洋介/ Yousuke Takahama (Bass)/Tokushima Univ. 北村俊雄/ Toshio Kitamura (Drums)/Tokyo Univ.